There's a new doctor in the house! 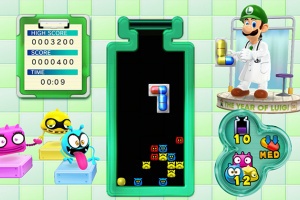 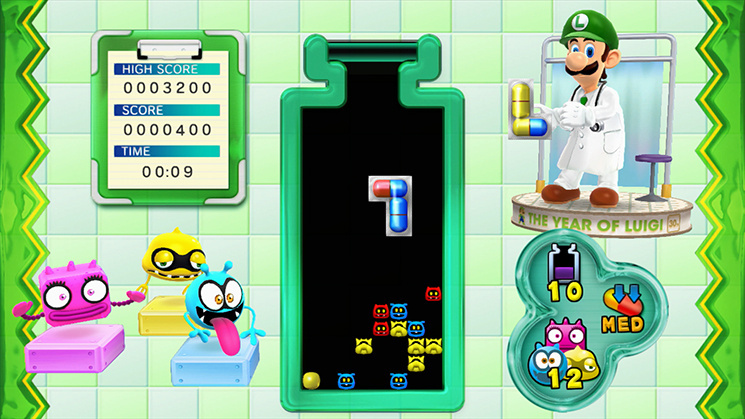 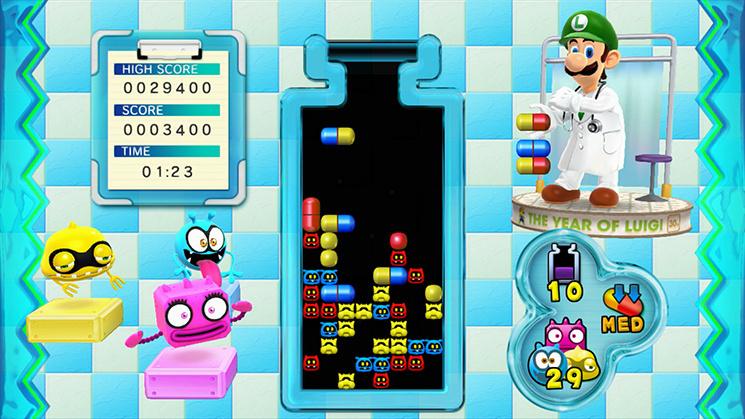 Dr. Mar—or, uh, Dr. Luigi is a new twist on this classic virus-popping puzzle game! 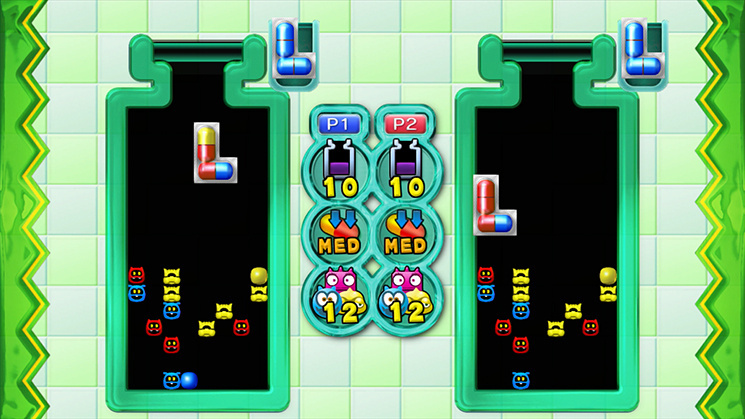 Use new L-shaped pills in a brand new game mode and compete with players locally or online. 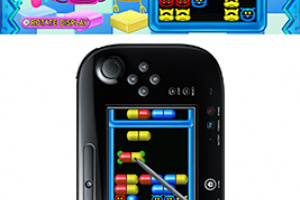 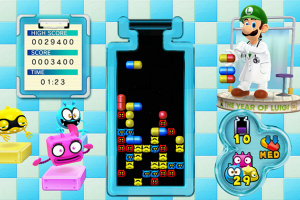 Drop pills the usual way, or get a second opinion with the Wii U GamePad controller. 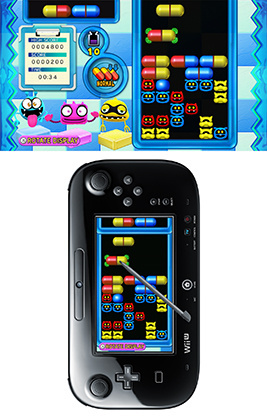 Virus Buster mode lets you position falling pill segments with the touchscreen and stylus to place them wherever you want. 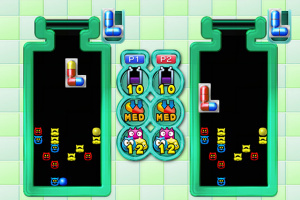 Use L-shaped pills carefully in the new Operation L mode or, for you die-hard Dr. Mario fans, there's always Retro Remedy mode. 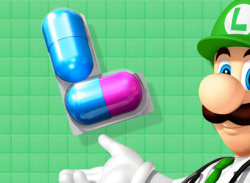 Feeling better? 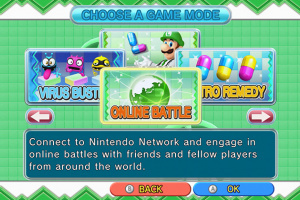 Then sweat it out online and see where you rank among the world's elite Operation L and Retro Remedy mode players. 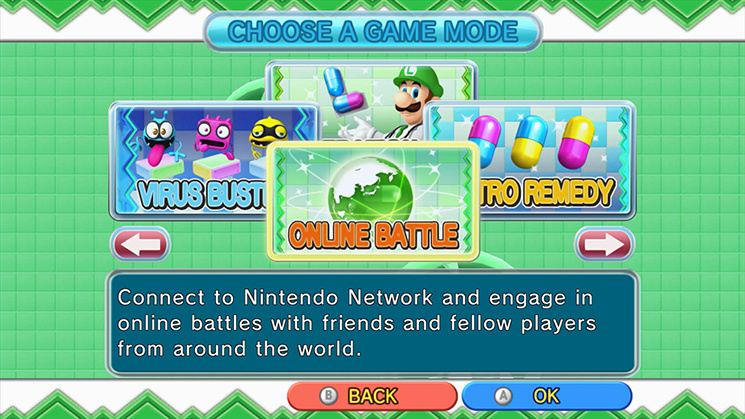 Both modes feature online leaderboards. 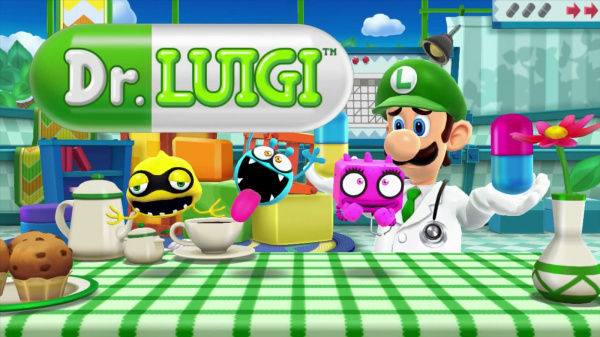 It's just what the doctor ordered…even if it's a little late!